1. What Is Open-Book Management? 2. What Information Is Shared in Open-Book Management? 3. What Insights Can We Get from Financial Information? Open-book management (OBM) is the business practice of creating transparency by sharing financial information with employees. This includes financial education for your employees and showing them how their production influences the finances. It is an easy-to-learn and fun management system intended to be a discipline that is developed over time, rather than being a one-time fix. The idea behind this concept is that when employees gain a better understanding of how the organization is run, they become empowered by this knowledge and it gives them “a dog in the fight,” so to speak. This is because people will fight for that which they have helped create, and because they want to understand how their contributions correlate to success. Often employees see their share of the work in isolation and never know the direct tie to how much they are helping (or hurting) their employer. When this information is unknown, people will assume that their hard work is enabling the company to make a great deal of money, of which they see little. As owners and managers, we know this isn’t the case. What Information Is Shared in Open-Book Management? The whole point of The Great Game of Business is to get employees thinking about how their individual tasks contribute to improving the company. The specific financial information being shared is only the information that is necessary to accomplish this, and every organization will have slightly different numbers they focus on. Because information about salaries and bonuses is not impacted by employees, those details are not shared with employees. However, generally, the more open you can be with the statistics that affect your financials, the better—because it builds trust. What Insights Can We Get from Financial Information? Variances are observed, and the team can troubleshoot to determine what accounts for the variances. Future actions are taken once the root of these variances has been identified. Everyone gets the opportunity to keep their eye on company and industry benchmarks. Having people look at the benchmarks on a regular basis ensures that these numbers are hit. Trends tell the story in a larger context and allow everyone to see where the company is headed. If the trends are bad, it makes it easier for everyone to rally and turn things around. Correlations give employees a chance to see the relatedness of various business affairs. For example, if the sales team lands a new contract, it can be shown how this had an impact on growth over time. By keeping a line-of-sight on all business metrics, you are able to tie efforts and outcomes back to your Critical Number and keep coming back to the most important things for your organization to monitor. The numbers give you a basis for forecasting and setting a unified and realistic goal that your teams can focus on. First outlined in the NeuroLeadership Journal, the psychological concept of SCARF describes the drivers of human social behavior in the context of a work environment. SCARF is an acronym for five domains of human experience, including status, certainty, autonomy, relatedness, and fairness. These domains are the greatest motivating factors in improving a workforce, and GGOB can help deliver them. Open-book management can be used to elevate the perceived status of an employee by giving them the feeling that they are in a unique group and privy to information that people at other organizations are not. Certainty refers to the ability to perceive what is to come. A big part of opening the books involves forecasting future financial numbers. By giving employees a preview of what to expect, this awareness breeds engagement and people will make sure they do their part to hit these numbers and maintain this feeling of certainty. When people are given a sense of control, they understand that they are responsible and can’t put the blame on others. This autonomy creates accountability and a feeling of pride for an individual who knows they have helped create a successful outcome. Relatedness refers to shared goals. At the center of open-book management is the ideal of rallying around a common cause and everyone assessing how they can do their part to accomplish the goal. Regarding fairness, open-book practitioners use transparency to open up aspects of company operations that had previously been shrouded in secrecy. 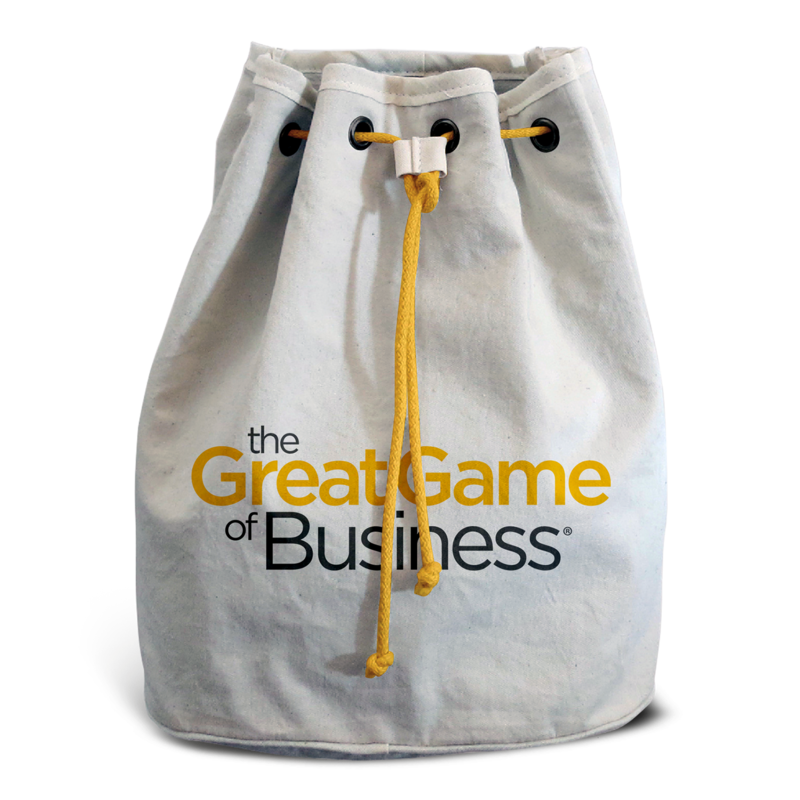 The Great Game operating system leverages the psychology of motivation to maximize employee engagement. Knowing your numbers. Open-book management will help you focus on the numbers. By examining the ratios and trends of your profit and loss statement over a period of three or four years, solutions to many of your challenges may become self-evident. Knowing your Critical Number. The Critical Number is the one thing that most clearly defines “winning” for your company. It provides a common metric and goal for the company and its employees, that allows you to stay focused as an organization. Building a winning culture. Employees need to feel like they matter and make a difference. Employee engagement is one of the clearest indicators of corporate health. OBM helps employees connect their jobs to the company’s mission, vision, values, and financial performance. By personally investing in the company’s success and having a stake in the outcome, they feel that they really do matter and are making a difference. Lay the initial groundwork by consuming educational resources and insights from industry leaders on open-book topics. Reach out to business coaches and attend open-book business conferences. Create a modified profit and loss statement to document and plan your process. We call this a scorecard. Assemble a team to be tasked with rolling out open-book management. Start implementing financial literacy training. Have weekly Huddle meetings to go over the numbers and generate forecasts. Start implementing MiniGames™ to get your team working toward achieving the goals you set. Create a rewards and recognition system to further validate employees’ efforts and value to the company. Implement the concepts of High-Involvement Planning. Overall, open-book management is a way of doing business that gets everyone involved at every level so that they are as informed and invested as the owners and managers. By looking at this business operating system not as a silver bullet but as a process to be developed and cultivated, a fully engaged workforce can work together for continual, sustained growth and profit.